Last year, we announced we were working with Ancestry® to integrate Ancestry Hints® and Ancestry’s records and online trees with our software. After months of development and the feedback of thousands of testers, we’re pleased to announce the release of RootsMagic 7.5, a free update to RootsMagic 7 that adds two amazing new features: TreeShare™ for Ancestry and the addition of Ancestry Hints to RootsMagic’s WebHints™ feature. RootsMagic’s TreeShare for Ancestry will let you move data between your RootsMagic files on your computers and your personal Ancestry online trees. You can transfer people, events, notes, source citations, and even pictures between the two systems. RootsMagic users also gain the ability to easily share and collaborate with others by giving family members access to their Ancestry online tree. 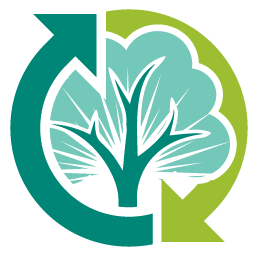 Using the new TreeShare feature, family members can then synchronize the latest changes and additions to both the online tree and their desktop computers. RootsMagic leverages the Ancestry Hints capability, and as possible matches are found, users may conveniently review them from within the software. RootsMagic then lets you add new information and media from matching records into your file. For those that are just starting their journey into the world of genealogy, RootsMagic offers “RootsMagic Essentials”- a free version of their software with a limited set of features tailored towards beginners. If you have an account with Ancestry, RootsMagic Essentials includes the ability to upload your file to Ancestry or download your existing online trees from Ancestry. If you are a subscriber to Ancestry, RootsMagic Essentials also allows you to search and view all of the content in your subscription. Those wishing to compare and transfer individual records between RootsMagic and Ancestry will want to use the full-featured RootsMagic software. The update is free for users of RootsMagic 7 and RootsMagic Essentials 7 and is available via direct download or through the “Check for Updates” feature within RootsMagic. To learn more about these features or to take advantage of a special offer for Ancestry users, please go to http://www.rootsmagic.com/ancestry. Yay! I have been watching almost daily for this release. What a fabulous resource for all genealogists. Thank you RM and Ancestry. Great news! Update was simple, as usual! Will we be required to have an ancestry subscription to use TreeShare and all of its features? Reply: You can use an Ancestry Guest account with TreeShare. You will be able to upload a tree and receive hints. You won’t however be able to view the complete records without a subscription. You can only work in it as far as the Guest account allows. Great code. Easy to use. I’ve been one of the “thousands” of people testing it. Love the new features. Thanks Bruce and ALL the other folks at RM that made this possible. Do you have to have a paid subscription to Ancestry.com to use these features? Specifically, do you have to have a paid account to upload your RootsMagic file to Ancestry.com? Thank you for taking the time to do it right the first time. You have a great product. Great job RM! I too was a tester, and my respect for all RM staff has grown even higher! My husband was one of the testers. I am so glad it is finally here! I love Roots Magic! This update is awesome and I can’t wait to start using it. Thank you for issuing such an important update. I am very appreciative of all the hard work and extensive collaboration that went into this. Since April, I too have been checking almost daily for this release. Great news! Can’t wait to get started. I will have to view this more than twice to digest. Thanks for posting. Wonderful news, thanks to everyone involved. I am cautiously optimistic that this is the way to go. I’ll add another comment – and I HOPE this isn’t premature – but the symbol error seems to be corrected. THANK YOU!!!!! TreeShare is finally here. So excited to start updating my trees. Thank you RootsMagic… so glad I made the switch. Absolutely brilliant news and “finally” now the next big thing! I have several trees online at ancestry.com and the new treeshare feature is forcing me to either upload a new tree or download a new tree each time. In the situation where I have done work on the trees on my computer using RootsMagic. Other family members have added to the trees online. I am therefore forced to redo some of the work, either mine or others. We need to be able to connect to an existing tree on ancestry and have RootsMagic report the differences and I can then selectively “merge” the files depending upon the accuracy of what the others added. I subscribe to RM News. A simple request: please show a posting date next to the article headline. Tks RM. I was one of the testers and also a tester for the new FTM software which has not hit the market. The new RM program is much more superior, so I can forget about FTM. Great job RM. This most wonderful day has arrived and it is better than what I expected. Thank you for every ones help in makeing it happen. Very excited about this release. Thanks for your efforts in getting it accomplished. Thank you for a clear explanation of Tree Sharing. Great product. Will this work with a Private tree on Ancestry or does it need to be a Public Tree? Reply: It will work with both a private and public tree. What a delightful surprise, thank you, RM! Can we move info from our Ancestry Tree to our RootsMagic tree? Great News! Can’t wait to get started! I entered your contest all of them for extra points. The last entry gave me problems. I copied and shared with Twitter, then Facebook and then G+. It posted on all 3 but when I came back it did not give me any extra points for sharing with friends. There was no check mark like the other entries above it. Wow! Great job on the integration with ancestry. Easy to use after I watched the video. I down loaded one side of my family into RootsMagic with photos. I don’t want Ancestry to be able to enter my computer or any of its programs. how do I stop this in my Roots program? Reply: It is already stopped from sharing. You need to actually sign into TreeShare and upload a tree to Ancestry to begin using the features. I am so excited for this release! It has so many wonderful and easy to use features! Thank you Bruce and all who made this possible. Very well done video with lots of good tips and information. I was one of the testers and was really impressed with the ability of this program. Took me a little while to get used to the features, but that is usual with any new program. Once I got used to it, I loved it. Disappointing. I have no use for sharing any longer (expensive) but found the Ancestry web hints incorporated in the “lightbulb” helpful. I, as a Registered Guest User, could follow up the hints at the free public library edition of Ancestry. Now I have to trail through the RMG WebSearch menu to find if there are any hints. Trying to import from FTM 2014.1 there is a message “The file appears to be corrupted or not an FTM file”. Will the later version of FTM 2014.1 be included to allow those files to be imported. Reply: We have a Knowledge Base article with directions on how to import the MacKiev versions of FTM. Glad to see this up and running, and I am looking forward to using this. A little disappointed that for one of the entries in the draw that I had to watch the video all the way over again (as I already follow RootsMagic so already watched the video and read the blog and already looked at the features). I have been spending time, while waiting for the Ancestry TreeShare, tidying up an applicable tree with sharing in mind. So glad that I chose Roots Magic when changed from PAF. Loved Paf for what it did for me. Now I am excited about Roots Magic that can do more. Is this just for the Windows version, or does the Mac/OSX version have this as well? Reply: It is in both the Windows and Mac 7.5.0.0 version of RootsMagic. Like many people, I am a long time user of FTM. I also have synced with an online tree at Ancestry.com. Ancestry.com/FTM pulled the plug on tree syncing last week, which I was not aware was about to happen. Consequently, I have some differences between my FTM (2012) and Ancestry.com online tree. Will I now (with RM 7.5) be able to (1) import my FTM 2012 database to RM 7.5, AND (2) sync my existing Ancestry.com online tree with the new RM 7.5 database (which I created from my FTM 2012 database)? Reply: (1) You can direct import FTM 2012 into RootsMagic. (2) TreeShare will let you upload or download. There is no option now to link an existing Ancestry tree to an existing database in RootsMagic. RootsMagic will preserve in GEDCOM the connection to an Ancestry tree. If FTM added that in the same format to their GEDCOM, it would preserve the connection to your existing Ancestry tree when imported into RootsMagic. Most companies don’t update older versions so that won’t preserve the FTM 2012 connection. After uploading & downloading in RootsMagic you can use the Compare Files tools to get one connected database with all the updates. The “What’s New in RootsMagic 7” video demonstrates how that feature works. I have tried multiple times to watch this video introducing the link between Ancestry and Roots Magic, but it always pauses right after the speaker says that there is an Ancestry shortcut on the tool bar and freezes up. I hope eventually to be able to complete the video. Congratulations to you all for the latest update that includes the AMAZING TreeShare – unlike someone else you have clearly gone about your research, design and implementation quietly and without raising false hopes. I cannot tell you just how delighted I am to have been offered the programme free and once I watched Bruce’s video it all became so clear as to how to work TreeShare to its best advantage. Thank you again. THANK YOU so very much!!! All though it was late when I got in on the testing, I found it easy to use and I look forward to a long and rewarding venture. Hello. The video was a great help. I am looking forward to using it. Glad to see this up and running, and I am looking forward to using this. A little disappointed that for one of the entries in the draw that I had to watch the video all the way over again (as I already follow RootsMagic so already watched the video and read the blog and already looked at the features).our comment here. Sent info to my 6 kids. Excited to try this, but I when I select the sign in tab for Ancestry, the program gets stuck and there is blinking on the screen; If I try to close, I get a box about letting pending operations continue, but let it continue for about 30 minutes and no change??? Overload, or something with my interface? I’m on a Mac with RootsMagic 7.5 which I updated today. ANy ideas? Reply: Open RootsMagic into a main view and use the key-commands Ctrl+Shift+U and select “Reset Program Settings”. Close and then reopen RootsMagic. Check that you have internet access and that your firewall is not blocking RootsMagic’s access. Go into TreeShare and login. If you still have an issue and your using an email to sign-in that you don’t have two accounts on Ancestry connected to that email. Using the username would be better in that case. After downloading a file from Ancestry to Root Magic and then making changes at Ancestry, is there anyway to sync them back again without having to make a individual decision on every difference? I am looking forward to using this new version of Roots Magic in association with my Ancestry. I do beleive that in our Family we have something that a lot of other Families do not have. My mother is 97 years old and a Great Great Great Grandmother yep that is 6 generations living and the first child of each generation has been a girl. Watched the video, very excited about all the changes and looking forward to working with both Roots Magic and Ancestry. Thank you for all your work to get this accomplished. Great add to rootsmagic! Thanks for the clear information and careful work to make this work so well. I am long term user of Ancestry and look forward to downloading my tree to a new rootSmagic file. How does this interface with family search? If I download ancestry first, can I then just connect to family search as before? The process was very smooth. I’ve downloaded 2 trees and things have went very well. I downloaded facts from Ancestry and also uploaded facts to Ancestry. The process was smooth. I may be doing something incorrectly, but when I make a change the list stays on the right unless I use the Icon on upper Right and say they are the same. Is there another way or is this it. This is a bit tedious. Wonderful news …. I was one of the testers and very pleased to be accepted too. It was great watching it all come together. BUT it was so hard not to be able to tell anyone !!!! Now I am jumping for joy, thank you Roots and Ancestry for such a great experience. Should I download my Ancestry trees into a “new” RootsMagic tree, or just download it into my existing tree? This is great news. I use both Ancestry and Roots Magic and am glad that I can now go to one file (kind of hard to keep both up to date). Thank you. Thank you so much!! Can’t wait to get my trees synced again. I have been eagerly awaiting this update, but I have to say I’m a bit disappointed. I was hoping I could use it with my current Roots Magic databases, but forcing me to either upload a NEW tree to Ancestry or download one I already have on Ancestry gives me one more big headache: I took over the family research from my mother and the tree we have on Ancestry is wildly inaccurate. I had planned on uploading a new version, but she had FOUR gedcoms with a lot of the same data that I’m having to combine and weed through duplicates. By forcing me to create ANOTHER, I now have to go thru FIVE. And that’s just on my paternal line. My mother’s line is even worse. It would have been nice if I could have used the Ancestry hints in the same way I use Family Search, Archives, and Heritage. I’m not looking forward to merging and backtracking all my files AGAIN. That said, I am very happy we will be able to finally use Ancestry with Roots Magic. I just wish it wasn’t going to be such a pain! Reply: Please contact support@rootsmagic.com. You didn’t leave your email so we could personally reply back. I think this video is great. Thank you! I have been anxiously awaiting the communication with Ancestry! I hope I can directly access my sister’s account too where much of our genealogy is stored! Been using your program for a long time now, excellent to see you are still coming up with the things that really matter. keep on using it forever. Truly a valuable upgrade. It puts Roots Magic in the lead. I have a paid subscription with ancestry.com.au but when I try to use the tree share feature it tries to log me in to ancestry.com then tells me my username and password are incorrect, is there a work around for this? Reply: For WebHints: Go to Tools>File Options>Ancestry and under “Ancestry domain to use for viewing” select “Australia (.com.au)” then the “view online” link will launch the browser to the correct domain. If you are in TreeShare with the login issue, you may have two Ancestry accounts using the same email. You will want to use your username instead of email to login. If it won’t clear you can use Ctrl+Shift+U outside of TreeShare to “Reset Program Settings” and clear it. Close RootsMagic and reopen, then login to TreeShare. I really like how Roots Magic and Ancestry work together, but I’m concerned about the color coding I did on my Roots Magic Tree and what happens with that when we have to download the Ancestry Tree to it, because we have to give it a new name. What happens to the color coding? Reply: Ancestry doesn’t support color-coding. So it will be lost on a download. Downloaded RM 7.5 and tried to sync my main Ancestry tree. It crashed towards the end after I got a message about an unreliable internet connection. However, I then synced down my 2 other trees without a problem – and then synced down the main tree again – this time without errors. I made changes on Ancestry to a tree – and then used the RM Ancestry feature to detect changes. It gave me the option to accept or reject changes at the individual fact level. This is so much better than FTM ever did! My congratulations to the whole RM team for a great product. I lost my FTM to Ancestry connection when Ancestry pulled the plug earlier this year. Now I can finally sync my Ancestry trees down to my PC again. Excellent work. I am a Mac user and have uploaded my Roots Magic file to Ancestry using TreeShare, where I have been a member for over 5 years. For some reason, I only receiving hints for one person as far as I can tell. How do I get hints for the remaining 13,000 plus folks in my database? Reply: For trees and persons uploaded from RootsMagic, sometimes Ancestry hints will not automatically appear. This is part of Ancestry’s system to prevent excessive strain on their servers. If hints are not appearing for you, to trigger Ancestry hints for a person, you must first view that person online via Ancestry’s website or make an edit to that person on Ancestry via RootsMagic. I saw this response, but the downloads page does’t show a MAC 7.5 version. Is it located somewhere else? Is it easy to update Roots Magic from the updates in your Ancestry tree? It looks like I have to update each person individually. What a Godsend, thanks Bruce and to everyone at RM and Ancestry for making this happen! Bruce you and the Team have delivered not only the connectivity with Ancestry but have delivered a clear simple to understand product. So excited its finally here. Hope it works well. TreeShare is great! Thanks so much, guys. I appreciate your hard work. Rootsmagic just keeps getting better and better. Wow, Thank you! This is both brilliant and amazing! This has been needed for some time! Congrats! HELP Despite all of the exciting announcements RE RM 7.5 and Ancestry Share . . . I see no way to obtain either feature!! Please use your genius to share with RM7 users how to 1 – upload RM 7.5, and 2 – start using Ancestry Share. You describe how Ancestry Share will work . . . OK, now describe how I can actually obtain it for use. Bob W PG UT. So glad for the coordination between Roots Magic and Ancestry. I look forward to using it! I don’t know which is best to do, Upload and Connect or Download and Connect. The explanation did not give me enough guidance to choose the correct choice. Well, I am just blown away! I had hopes that this would be a syncing function that would actually work without messing up one database or the other. And, eureka, you’ve done it! Thank you so much, RootsMagic – this is just wonderful! Cannot speak highly enough of this integration of Ancestry.com with RootsMagic! As always, good things are worth the wait!! Thank you for your hard work to make us another fabulous tool in RootsMagic!! Now, I’m going to disappear for days and play!!!!! I am very pleased that this has finally been released. I have been using RootsMagic for about a year now, but haven’t changed over 100% because my family and I use the Ancestry tree for shared work to avoid duplication. I also like Family Tree Maker’s ability to copy documents to the persons name and file’s the document with that person. RootsMagic has required me to do this manually until now. With this change I feel RootsMagic will be much more user friendly. Great news! Now I have to figure out how it all works. I do have an Ancestry International account, and also Family Search. Have downloaded program several times, cannot find it. Totally confused what to do next. Way to go! You Rock RM. Great upgrade! I am new to Roots Magic, was waiting a long time for this release to arrive. It works great. I’m already making good use of it. Easy to use too. I am interested in how the new set up will help my research and the other added benifits and Help.